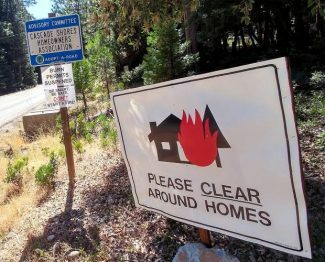 Fire danger can increase during fall months in Nevada County, when the likelihood of strong winds is heightened, according to Joanne Drummond, executive director of the Fire Safe Council of Nevada County. 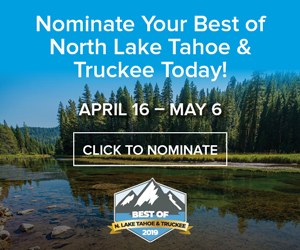 Fire restrictions will be lifted in the Tahoe National Forest Friday, allowing visitors to obtain campfire permits, smoke outside of designated sites and operate internal combustion engines off forest roads and trails — but according to Joanne Drummond, executive director of the Fire Safe Council of Nevada County, weather patterns during fall months often present the most dangerous conditions for fires in California. The National Weather Service issued a warning for critical fire weather conditions and strong North winds Sunday and Monday. Potential impacts from the expected weather conditions could include rapid spread of fire, difficult driving conditions and gusty winds blowing debris and loose objects, the service said in a news release. 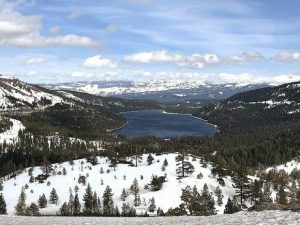 Fire restrictions will remain lifted in the Tahoe National Forest despite the potential for high winds, according to Public Affairs Officer Michael Woodbridge. Fuels that could cause wildfires to spread quickly aren’t as dry as they were during the summer, Woodbridge said. In combination with the effects of cooler temperatures and shorter days, the National Forest has determined that fuel conditions no longer warrant fire restrictions. “We haven’t had what people might refer to as a season-ending rain yet, but we’ve had some precipitation,” he said. But despite the lift on restrictions, Woodbridge urges visitors to the National Forest to exercise caution with fires. Campfire permits are free and are available at any Forest Service, Bureau of Land Management or Cal Fire office. They are also available online at http://www.preventwildfireca.org. According to Drummond, ground conditions are different in the Nevada City and Grass Valley area than in the Tahoe National Forest. “We’re definitely not out of the woods yet,” she said, referring to a high fire danger. 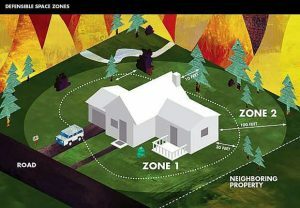 High wind conditions, which are typical during fall months, can cause fires to spread quickly, she said. An outdoor residential burning ban remains in effect for western Nevada County.